Anna, as in Anna&Robin 'Life of a Musician', has 'tagged' me, so I'd better be good and play the game. The brief is 'to write six things about me, personally, that my readers might not know', and then, 'tag' six other twitter/blogger friends and make them 'it'. 2. My first cat was called Whiskers. 3. But I really wanted a dog. 4. If I could, I would move to France tomorrow. No, today. 5. I wrote 7 novels before Rites of Spring. 1. Opera Chic! Opera Chic! 2. Erin! Put down that cello a minute and get into your Fugue State. 3. Wonderful, wonderful Jeremy, we can't wait to see what you have to say about this over at Think Denk. 4. Come on, Norman, give it a go! 6. Ruth, of Meanwhile, here in France...because she lives where I'd like to live. Just look at her photos of late-season veg and the reasons for point no.4 will be apparent. Have fun, folks. I am off to Newcastle in the morning. I'm off to Newcastle/Gateshead tomorrow to give a talk at The Sage's ExploreMusic library series, which very wonderfully seeks to bring music and fiction together. I'll be talking a little about the different ways music features in my novels and a lot about Hungarian Dances. Plus readings from book. If you're in the area, do come along, it's free. By the way, if you're wondering what became of our recent poll about the future of JDCMB, the result was a slight but clear lead for keeping this blog as it is and initiating a separate books blog. Naturally it would be handier for me to lump everything in together - after all, they're equal concerns in my mind, and to run two separate ones will mean less frequent posting on both - but I appreciate that not everyone sees it that way. October will therefore see the launch of my new Books, Writing & Culture in London blog. Watch this space! ...there's a case of Critic v Conductor. The New York Times has carried a story explaining that a music critic in Cleveland has lost his job for being, allegedly, excessively critical of the Cleveland Orchestra's conductor, Frankly Worse Than Most, oops, I mean Franz Welser-Most (FYI, the former is what certain musicians in London used to nickname him). A lot of grey areas surrounded the appointing of FWM as principal conductor of the LPO, where he started back in 1990. Tennstedt departed in 1987 due to ill health, a replacement had not yet been named and it was then that the Tory government got a Lord to investigate things and recommend which of the London orchestras should be murdered. To qualify for a chance of survival, an appointment was needed and FWM was named PDQ. Not very many conductors would have been available at that kind of notice. Happily, the Hoffmann Report eventually told the government to get off and leave all our orchestras right where they were. Meanwhile FWM was in place, and if I remember rightly some of his performances were good and others weren't. Fairly normal, then. BUT: the London press loathed him. It was the critics, not the orchestra, that wrecked his career at the time in the British capital; he kept talking about this nightmare era in interviews for years. It is not entirely clear how it happened, but seems to go back to his first-ever press conference for the LPO, which most of the critics left with the impression that FWM was arrogant, abrupt, inexperienced and so forth. All of which may have mean that he was just bloody nervous. But what's certain is that the resident vipers developed a serious grudge which only got worse. The difference was, they didn't lose their jobs - whereas eventually the unfortunate youth, after enduring five and a half years of printed hell, packed his bags earlier than intended. All of which does not necessarily mean that FWM is the world's greatest conductor. ...which is just out. Classic FM Magazine sent it to me to review and it knocked my socks off. Virgin Classics has sensibly made a promotional video, so here it is. Meet the Quatuor Ebene, four adorable young French fellows (what IS it about the French?) giving their fellow countrymen Debussy, Ravel and Faure the full treatment. And, to my particular joy, according the elusive Faure quartet equal status with the other two. Chapeau! Here's the complete list of Gramophone Award winners for 2008. There are several I'm pleased to see, but most of all Tasmin, whose Naked Violin project of course involved no record company, therefore has by nature to be independent of any industry pressure. The list I was sent does not include the labels of each disc, but these will no doubt be available on the Gramophone site as soon as they have all recovered from their hangovers. Meanwhile over at The Times, readers were presented with a shortlist - drawn up by Gramophone reviewers - of discs deemed to be 'the greatest recordings of the last 30 years', and were asked to vote on them. The winner has been revealed as pianist Stephen Hough's adorable rendition of the complete concertos of Camille 'Twinkletoes' Saint-Saens, which is jolly nice for both Hough and CTSS, who well deserve some kind of accolade. Stephen is that rarity among today's highest-profile pianists: an artist with both imagination and integrity, and one that I will actually cross a road to hear. The others, frankly, I can count on the fingers of one hand. Now, I adore Stephen's playing as much as anyone and I am absolutely thrilled for him that he should be deemed 'the best of the best'. What I object to is the shortlist. The Saint-Saens is actually not the best of the best, but the best of a pretty staid and frankly boring bunch. Personally I would rather swim back to shore from my desert island than include Harnoncourt's Beethoven in my eight discs, let alone have to sit through Karajan's Mahler. And how do you arrive at a shortlist that does not include any of the following: Krystian Zimerman's Debussy Preludes; Anne Sofie von Otter's Terezin CD; Richard Goode's complete Beethoven sonatas; Andras Schiff in the Goldberg Variations; Mitsuko Uchida's Schubert B flat Sonata; Matthias Goerne and Brendel in Winterreise; Marc-Andre Hamelin's mind-boggling Chopin/Godowsky set? And those are just a handful of pianists plus a singer or two. Discs are churned out month after month after month; everybody likes different ones; any list is simply invidious. Music industry awards help to raise classical music's public profile, because the media likes winners and snazzy ceremonies. That is their use, and their only use. He did it. Vlad, that is. He has finally convinced me that the fuss about Vaughan Williams is, well, right. He and the LPO opened the concert with RVW's Symphony No.8, a work that is infrequently scheduled and that I hadn't encountered before. Amazing. The imagination. The humanity. The textures. The string chorus of the slow movement and its cello solo (meet the LPO's new lead cello, Kristina Blaumane of Latvia - a phenomenon in her own right). You win, folks, I believe it all now. It was gratifying to see that, with a programme entirely of 20th century music, including words such as 'world premiere', 'Mark-Anthony Turnage' and 'Ligeti', the place was packed. Turnage's new violin concerto was quite a jolly affair, with much spirited duetting between Tetzlaff the Terrific and the hyperactive percussion section. The Ligeti Atmospheres segued straight into the Stravinsky. I find Atmospheres highly effective, indeed hypnotic, but I won't repeat what my resident violinist says about playing it. The Rite of Spring was an unusual interpretation: instead of con-belto-a-la-Gergiev, Vladimir gave a taut, controlled, rather restrained performance that accentuated what lyricism the score contains and only let rip at the real climaxes. It was tight, disturbing, claustrophobic. I wasn't sure whether the swarm of people on their feet at the end was a standing ovation or a terrified rush for the fresh air (a bit of both, maybe...). The Rite of Spring is a continual mystery and fascination to me. I researched its origins once for a piece in BBC Music Magazine, convinced that the whole idea came from the artist Nicholas Roerich who designed the first production; after all, nobody can prove or disprove the dream that Stravinsky claims to have had of the ritual sacrifice? But even if the scenario is indeed Roerich's, that doesn't explain what induced Stravinsky to write the music as it is. It is light years away from The Firebird, despite a gap of only several years; as far as I am aware, there was nothing remotely similar in existence in 1911-13; and the more I hear it, the more miraculous it seems that anybody could ever have conceived and written down a thing like this. Barely are the Proms over when the big UK orchestras start their new seasons, and it seems more important than ever to set off with something of a bang. Few pieces are more 'bangy' than The Rite of Spring, and if you head for the Royal Festival Hall tonight, that's what you will hear from the LPO and Vladimir Jurowski. Popular stuff now, unlike 1913, but the rest of the programme is jolly intriguing. Ligeti Atmospheres; the premiere of a new violin concerto 'Mambo, Blues and Tarantella' by Mark-Anthony Turnage with Christian 'golden boy' Tetzlaff as soloist; and Symphony no.8 by Vaughan Williams (I'm promised it is short). On Friday next week the BBC Symphony Orchestra launches at the Barbican with the Beethoven Missa Solemnis conducted by Belohlavek. The LSO has started already - they had a Rachmaninov festival over the weekend, which passed me by - and tonight at the same spot they do Mozart, Elgar and, er, more Vaughan Williams, with Sir Colin Davis. The Philharmonia is now on tour in the 'provinces' and can be heard tonight in Leicester with the splendidly hirsute Leif Segerstam wielding the baton, but in London they set off with a very big bang last night: a gala concert with Esa-Pekka Salonen and more Stravinsky, this time Oedipus Rex. So Stravinsky and Vaughan Williams emerge as flavours of the month, which is an interesting combination since Stravinsky could probably have eaten Vaughan Williams for breakfast, given half a chance. I am delighted to say that tonight in the RFH foyer the South Bank will be selling signed hardback copies of my novel Rites of Spring, to match said Stravinsky, in aid of the LPO Benevolent Fund. A press release in the in-box today brought us this photo of a truly great pianist being given a prize by a truly great violinist. At the Jewish Cultural Awards, held in central London yesterday in aid of the London Jewish Cultural Centre, Murray Perahia (left) was presented with the Lifetime Achievement Award by Maxim Vengerov. Now all we need is a) for Murray to make his more-than-welcome return to the piano permanent and healthy, as represented to huge acclaim at the Proms the other week; and b) for someone to please, please, please wave a magic wand and make Maxim play his violin again? Of course, after a quarter-century at the grindstone after which he's only an early-thirtysomething, he deserves a bit of a break. But we fiddle fanatics miss him badly. At the same ceremony, I'm delighted to say that the Music Award went to Anne Sofie von Otter for her Terezin CD, which is still top of the list of my Greatest Ever Recordings. I am also pleased to see Vengerov credited with the following excellent statement: "Being here tonight is so important to me because the work of the London Jewish Cultural Centre is really indispensible, binding Jewish people together regardless of their religious or political bias...and tonight is a celebration of what can be achieved and what there is still to strive for, in keeping Jewish culture alive in a modern changing multicultural society." Now, will you please pick up that Strad and play the damn thing? I'm holding a one-day workshop called KICK-START YOUR WRITING! on Saturday 1 November, 10.30am – 5pm, in London SW14. "I've always wanted to write, but..." There’s always something to stop you from writing: time, space, or simply not knowing where to start. Is this you? If so, this special workshop could be just what you need: a one-day course to help give you the spurt of energy you need to set off on your adventures in creative writing – which can be one of the most rewarding pursuits in the world, regardless of your age, level or experience. Within a small group setting, we will explore ways into writing through discussions, exercises and some practical pointers to help release those blocks and start to plan your story. Places are strictly limited, so book early! The price is £60.00 per person and includes lunch, coffee, tea and a glass of wine. # Vernon 'Tod' Handley, the British conductor, passed away (read full obituary from The Guardian here). Tod did more for British music than any of his peer group, and was a musician of tremendous passion, integrity and imagination - but despite constant campaigning, he was never awarded a knighthood, unlike others who probably deserved it less. Hear him in recordings like this and this. # The LPO's principal conductor Vladimir Jurowski announced his latest creation: his baby son, Yury (George), born on 10 September - many congratulations to him and his wife Patricia, and Yury's proud sister Martha. # The Last Night of the Proms came and went, vibrato undamaged, but some commentators sound distinctly underwhelmed, Bryn or no Bryn. Meanwhile all the screams and tantrums about jingoism seem to have achieved some perspective for the first time as everyone assents that basically it's good clean fun - and even Safraz Manzoor in The Guardian doesn't accept that it's 'too white' (by the way, if you follow only one link from this post, make it that one). # Meanwhile, Messiaen's St Francis of Assisi stole the Proms show utterly, receiving the best reviews of anything I've seen in ages. Unfortunately I was sunning myself in Provence (between thunderstorms and the Mistral) and missed it. # London's first new concert hall since the Barbican 26 years ago is getting ready to open its doors. King's Place, situated in a snazzy new building beside the canal near King's Cross station, on 1 October with a bonanza of 100 concerts in 5 days. Long term, it's a superb new home for contemporary works, world music and the London Chamber Music Series on Sunday evenings (a cheery bye-bye to the Conway Hall, and thanks for all the streaming colds). Amongst others things. Read all about it here. # An email arrived bearing a sneak preview of Philippe's Hungarian Dances CD, due for release on the Onyx label later in the autumn. It's even lovelier than I expected. Back now, ready to pick up the pieces (where possible) and assess the way ahead in the strange new world of the credit crunch. I'm off. Back in a couple of weeks! Please have some fun with the blogroll in the meantime, and do please keep those votes and thoughts coming - they are very useful and much appreciated. Why are the maestros ditching the white tie? Here's my latest bit of fun from the Indy, in today's edition. A few lines were cut, notably the one about the pianist who won't wear round-collared black jackets because where he comes from, it's the garb of choice of Russian criminals; and the way that Daniel Harding makes up for not actually looking like Simon Rattle by conducting with his mouth open. But I'm glad the truth about those ridiculous black shirts at the BBC Symphony Orchestra has had a chance to be aired. The first press release of the year trumpeting a Christmas album has just pinged into the in-box, and the Proms aren't even over yet. Please excuse me while I go and throw myself out of the window. As a special prize for providing the most depressing moment of a summer that you thought couldn't get any worse, I will provide them with PUBLICITY. It could actually be rather a good disc. "A LANDMARK RELEASE FROM COLLEGIUM RECORDS - THE FIRST ALL-NEW CHRISTMAS RECORDING IN 20 YEARS FROM JOHN RUTTER AND THE CAMBRIDGE SINGERS - 'A CHRISTMAS FESTIVAL'"
"Recorded in the elegant splendour of Cadogan Hall, London, this is the first all-new Christmas release from Rutter's celebrated Cambridge Singers for twenty years and is the first ever to feature the glorious sound of full symphony orchestra and organ. John Rutter directs the Cambridge Singers, the Royal Philharmonic Orchestra and the award-winning Farnham Youth Choir alongside distinguished guest soloists Melanie Marshall, Clara Sanabras and Elin Manahan Thomas in this unforgettable festival of Christmas music." "Release date: 27th October 2008 / Price Point: Full Price / Catalogue No: COLCD 133"
If you have a look at the sidebar, you'll see a poll. I know what I want to write about - but what do you want to read about here, and how? Please vote for what you think is the best (or the least worst) of these ideas over the next two weeks and there will be some changes later in the month. Thanks! 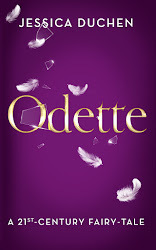 17 April 2019, Music at Mansfield Street: ODETTE - the novel in concert, with Fenella Humphreys (violin), Viv McLean (piano), Jessica Duchen (author/narrator). Repertoire includes music by Chopin, Liszt, Gershwin and Tchaikovsky. More info soon. 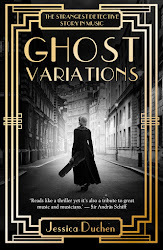 27 April 2019, St Mary's, Perivale: ODETTE - the novel in concert, with Fenella Humphreys (violin), Viv McLean (piano), Jessica Duchen (author/narrator). Repertoire includes music by Chopin, Liszt, Gershwin and Tchaikovsky.More info here soon.